The new start-up was conceived through adversity when the My Action Replay Directors suddenly found their business was on the brink of collapse. Less than a year after selling to New Zealand-based, CricHQ, the world’s largest cricketing platform, things went sour when the main investors in the parent company pulled their capital after a new fundraising round failed to deliver, putting CricHQ into receivership. On hearing about the sudden developments in New Zealand My Action Replay was forced into action to rescue their own business or face the loss of all equity with potential legal liability for unpaid bills. 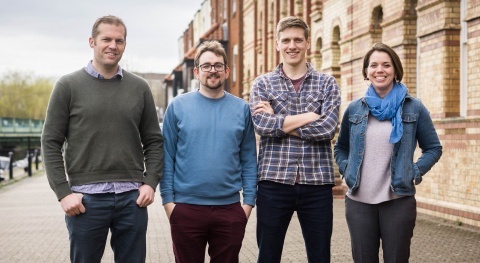 Having started their first business within the SETsquared Bristol incubator, the team returned to its roots to decide on their next step. Within 24 hours, One Big Circle was created with the remaining staff and founders, Ian Packer, Sam Low & Barnaby Kent also becoming directors and making prompt contact with the New Zealand-based receivers and other potential clients. The negotiations eventually resulted in a valuable partnership with the new CricHQ owners. Other successes have quickly followed. One Big Circle has been working with start-up, beebooked, a local services business, bringing their app from concept to testing in eight weeks. The firm has also partnered with award-winning providers, FHIntuition, on delivering a real-time staff engagement tool on mobile devices. To find out how One Big Circle can work with you to solve technical challenges or scale up through tech, contact emily@onebigcircle.co.uk to take advantage of their plain-speaking ‘Solutions and Costs’ process, for free.